Although often associated with high altitude tourist attractions, glass flooring for both residential and commercial structures is becoming very popular. It is sometimes made with solid or hollow glass blocks known as "glass pavers" or “glass tiles” within a metal framework. Many glass floors are lit from below with natural or artificial light, creating dynamic effects. 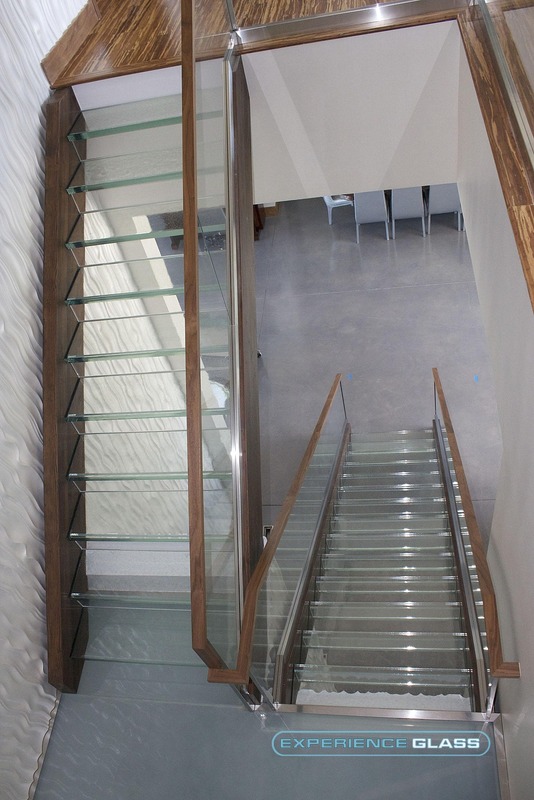 Glass stair treads typically utilize similar manufacturing and construction techniques for all manner of glass stairwells, glass stairways, and glass staircases. Historically known as “pavement lights”, transparent glass floors allow clear views from both above and below, while translucent glass can be used for more subtle artistic effects. Transparent or translucent glass floors are a wonderful choice for outdoor sidewalks, glass deck flooring, and glass walkways, or well-lit interior spaces to allow pure or filtered daylight into the space below. Our line of heavy duty glass flooring has become a very popular segment of our product line. While other manufacturers routinely come up short in comparison to our strict standards, when it comes to safety, our customers’ well being always comes first. 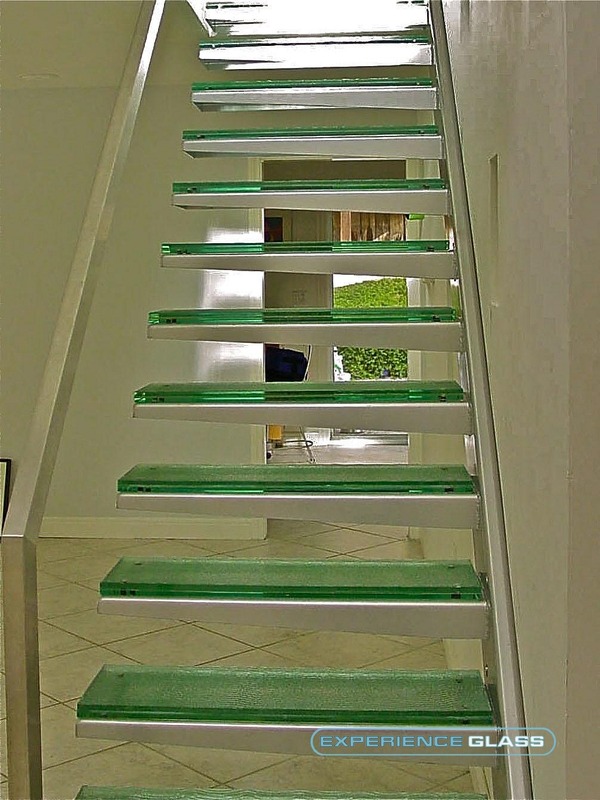 Many companies offering glass treads, stairs, and flooring manufacture them out of annealed glass, either in multiple layers laminated together, or in some cases just thick annealed glass. Although laminated annealed glass can qualify as safety glass, Gomolka Design Studio goes the extra step to temper our laminated flooring products, creating a safer and much stronger product. All of our glass flooring is also finished with our unique Glasstraction non slip surface. Glasstraction leaves a beautiful shiny surface, unlike competitors who use frits as a non slip surface. 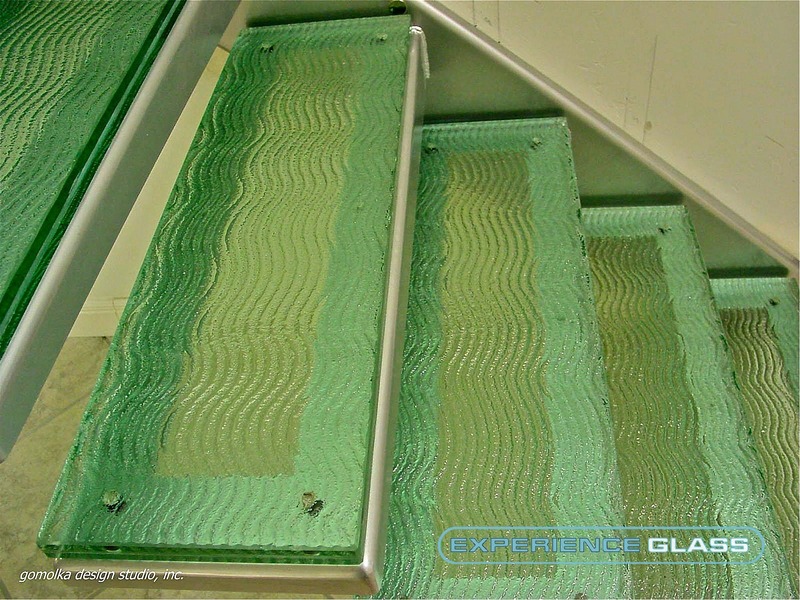 Our expertise in producing unique and attractive slip resistant glass stair treads has made us one of the nation's leading glass staircase manufacturers. Like all our other products, the glass flooring is U.S.A. made, right here in our facility in Carlsbad, California. Most of our competitors purchase their products from China and other overseas countries. At GDS we are committed to supplying excellence, and do not trust other companies that do not have safety as their number one concern. Give us a call to find out more about the exciting possibilities offered by our glass flooring systems!